Each child at New Song is loved, taught, heard and valued as a special creation of God! We learn by doing, seeing, hearing, singing, acting, cooking, playing and serving others. 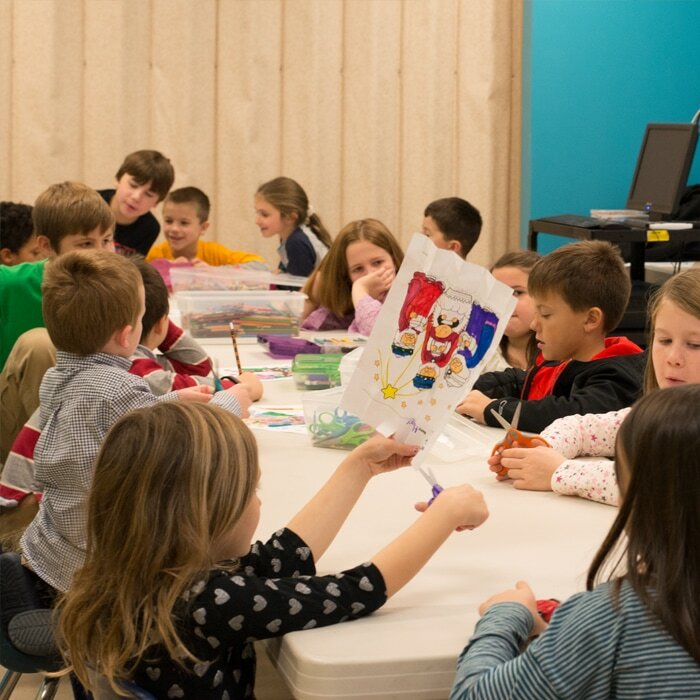 ​We teach the truths of the Bible in a way that children can understand and apply it to their lives. All of our volunteers are trained under the Child Protection Policy, which states there must be two or more helpers in each class. Our teachers are trained throughout the year and all involved find this area to be particularly rewarding! ​Kindergarten – 5th grade. Kids Praise starts out in large group with a lesson to include songs, Scripture study and a relevant skit or drama. We then move everyone into smaller groups for more in depth discoveries. Kids Praise invites everyone to participate in the offering and various missions throughout the year. For more information about our Children's Ministry, send us a message here and someone from our Team will get back to you shortly.